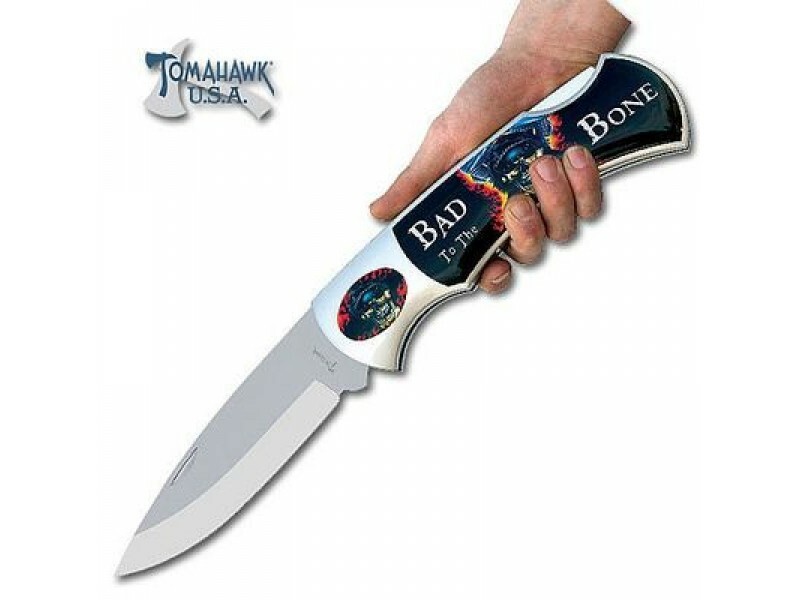 Buy Bad to the Bone Monster Folding Knife , from Budk - RBC VISA for $19.99 only in My e-commerce. This massive collectible folding knife is sure to grab everyone's attention! This folder features a 7 1/2" stainless steel lock back blade in a composite handle accented with the "Bad to the Bone" design. This incredible item measures 17" overall when open and 10" closed. Tomahawk, XL1255.